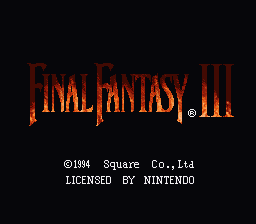 Romhacking.net - Review - Useful! 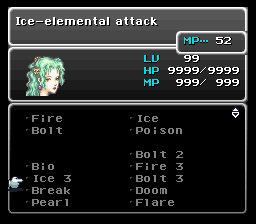 In vanilla FF6, because of the way the game builds spell lists in battle, if one character in battle knows a lot of spells and another character doesn’t, that second character will have a lot of blank space in their Magic menu. Condensed Spell List adds some additional code to battle initialisation that takes a character’s spell list and ’shuffles’ it up, so that all of the blank spots are at the end. 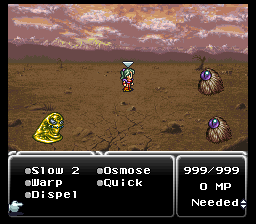 Version 1.1 update includes: additional support to also resort Lores in battle, as well as fixing an error wherein the wrong MP cost would be deducted in battle for spells that had been shuffled upwards in the list. This fixes my biggest pet peeve about this spell list system! 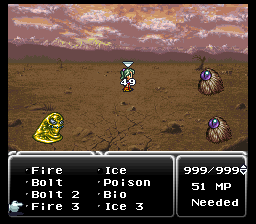 It even works out with custom spell names. Excellent all around.